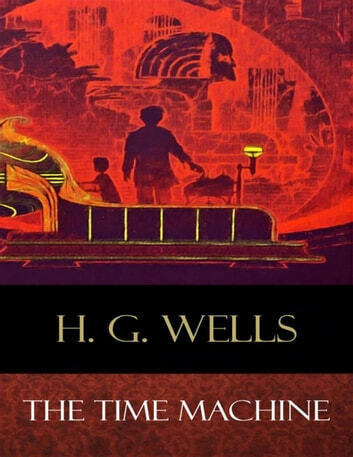 The Time Machine is a science fiction novella by H. G. Wells, published in 1895 and later adapted into two feature films of the same name, as well as two television versions, and a large number of comic book adaptations. It indirectly inspired many more works of fiction in many media. This story is generally credited with the popularisation of the concept of time travel using a vehicle that allows an operator to travel purposefully and selectively. The term "time machine", coined by Wells, is now universally used to refer to such a vehicle. This work is an early example of the Dying Earth subgenre. The protagonist, recounts the Traveller's lecture to his weekly dinner guests that time is simply a fourth dimension, and his demonstration of a tabletop model machine for travelling through it. He reveals that he has built a machine capable of carrying a person, and returns at dinner the following week to recount a remarkable tale. 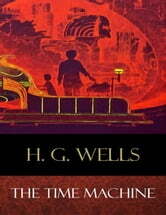 Herbert George "H. G." Wells (1866–1946) was an English writer. He was prolific in many genres, including the novel, history, politics, social commentary, and textbooks and rules for war games. Wells is now best remembered for his science fiction novels and is called a "father of science fiction", along with Jules Verne and Hugo Gernsback. His most notable science fiction works include The Time Machine (1895), The Island of Doctor Moreau (1896), The Invisible Man (1897), and The War of the Worlds (1898). He was nominated for the Nobel Prize in Literature four times.